The world’s oldest cup competition is back in town this weekend. The 3rd round had looked to fall short of the usual levels of romance but it got pretty frisky on the Sunday. Newport’s win over Leicester was the biggest David & Goliath story, closely followed by Barnet’s win at Sheffield United. Whilst the third round was full of potential, the draw for the 4th round has seen a lot of the Premier League teams draw each other. With seven clashes not including-flight teams, we are guaranteed that almost half of the field will be from outside of the Premier League for the next round – and that’s before we factor in any upsets. Let’s take a look at the prospects of the 13 remaining top-flight clubs, starting with the TV games. There’s a ludicrous SEVEN matches televised which is, in my opinion, far too many. There’s no arguing with the first one. Friday night football sees Arsenal host Man Utd in front of the BBC cameras. This is a clash of two teams who could realistically have ambitions of winning the trophy but one will fall by the wayside. I don’t think either side will want a replay and it’ll be interesting to see the team selections. Solskjaer has had the Midas touch since arriving whilst Emery has generally been very strong at home, so something has to give. As a neutral I don’t care who wins, I’m just hoping for a good game. BT have at least opted for Accrington Stanley vs Derby. I’ll always approve of giving a lower league team a TV slot – let’s be fair, they need the money far more than a lot of teams. Britain will always have a soft spot for Accrington Stanley and you all know why. Exactly. This is at lunchtime as well which I think is a good move. We’re back with the BBC for the tea time clash between Millwall and Everton. This is your typical FA Cup tie and we saw Millwall knock Watford out in 2017, so there’s form for it. Everton have been taking the word inconsistent to new levels recently with nobody sure which performance you will get from them. Marco Silva needs all the good news he can get and a cup run might distract from the fact they’ve spent a fortune and are still in the bottom half. Millwall aren’t having a great time of it themselves but they seem generally up for it at The Den, especially on a big night like this. It could be an interesting one with your Saturday takeaway. BT are pushing your relationship as far they can by scheduling another TV match, this time at 7.45pm. Saturday night football is not something I can get on board with. The basis of every balanced relationship in this country is that football happens between 12pm and 7.30pm and then we watch terrible TV with our loved ones for a few hours. Then more football. Putting a match in between is asking for bother. Anyway, it’s AFC Wimbledon against West Ham in another David vs Goliath encounter. Wimbledon are struggling near the foot of League One whilst West Ham have had a jolly good winter and are fighting for a top half place. Will Marko Arnautovic play? Probably not. I can’t see an upset here but it would be nice for Wimbledon who have obviously had a difficult 20 years to put it mildly. Sunday should have a lunchtime game but does it? No, of course it doesn’t. Instead, we have to wait until 4pm For Crystal Palace vs Tottenham, also on BT. It’s an all-Premier League clash and Spurs are rapidly running out of players if Palace give this their full respect they might even win. Roy will probably play Jordan Ayew though and scupper his chances. The BBC then throw things wide open by scheduling Chelsea vs Sheffield Wednesday for 6pm. Why? Nobody wants to see this. Sheffield Wednesday certainly won’t want to see this, it will almost certainly be a routine home win and barely registers a flicker on the care-ometer. Higuain will probably make his debut. That flicker isn’t getting any bigger. BT have then stuck up for the little guy by televising Barnet vs Brentford on Monday night. Again, I’m pleased they’ve given Barnet a nod as they probably wanted Arsenal away or something and it would be a shame if their incredible journey ended off camera. Who knows, they might win again? It would be a great story. There’s a couple of other all-Premier League ties that have to settle for traditional Saturday 3pm kick offs. Manchester City vs Burnley should be a home win on your coupon. Sean Dyche will have been secretly delighted with this draw. He can exit the competition without disgrace and can focus on staying up whilst single-handedly leading the campaign against diving. Home win all day. Newcastle vs Watford is a bit trickier. Rafael Benitez continues to be at war with the board over a lack of signings. With several players injured and a couple at the Asia Cup, expect another second string eleven here. Watford also rang the changes in the previous round although that was against Woking. The non-league side will have at least put in more effort than Kenedy will here but the smart money here would be on Watford advancing, much to Elton John’s delight. I guess that’s why they call it the blues. I think Shrewsbury can count themselves unfortunate not to be a TV game. They host Wolves, who of course knocked Liverpool out in the previous round. Obviously, Wolves will be favourites to go through but stranger things have happened. Wolves should really go all out for the cup, they’ve got the players to do it. Brighton vs West Brom might not get your pulse racing but…nope, it won’t. I’ve got nothing. 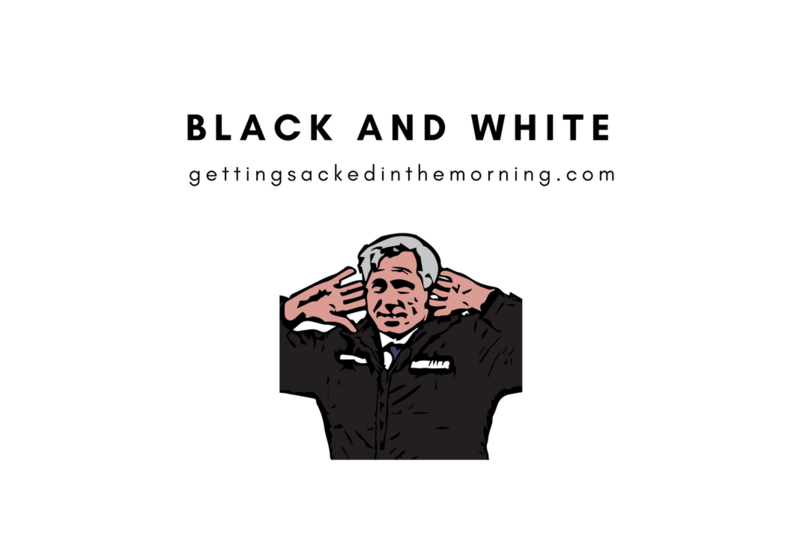 Chris Hughton has a fairly poor FA Cup record as manager whilst Darren Moore will probably not be too upset if he can focus on his primary objective, which is getting WBA out of the Championship. Brighton have quietly invested well to the point where they can change their first eleven now to pretty much no detriment. For that reason, I expect they will go through. With that, our FA Cup preview is concluded. Like I said in the preview, this might set up a very interesting last 16 onwards and there are still some good games to look forward to here. I just don’t understand the TV selection of Chelsea vs Shrewsbury. Hopefully, Arsenal vs Man Utd gets the weekend off to a roaring start and we’ll go from there. See you for the 5th round.